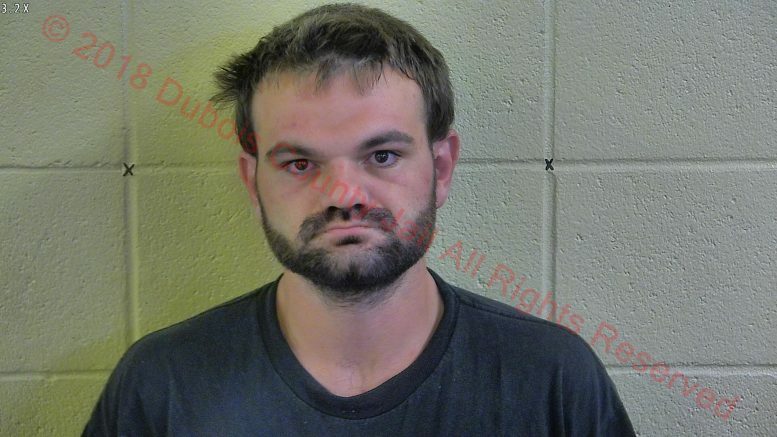 A Huntingburg man wanted by authorities for questioning in a theft that took place at a Ferdinand hotel was placed under arrest over the weekend on multiple charges. Ferdinand Police say 24-year old Darrel Harris of Huntingburg was being sought after he was accused of an alleged theft of cash from the Red Roof Inn in Ferdinand. Police say once Harris was found, he acted suspiciously and that they believed he was a safety threat. Police say Harris was trying to hand off a bag to another person where he was located but when officers asked to see the contents of the bag, it was discovered that Harris was in posession of a small amount of Methamphetamine as well as a pipe and other questionable items that were found in the bag. They also state Harris was found to be in possession of an undisclosed amount of cash consistent with the amount that was taken from the victim at the hotel. For now Harris has been charged with a Level 6 Felony count of Theft, a Level 6 Felony count of Possession of Methamphetamine and a Misdemeanor count of Possession of Paraphernalia. He was taken to and booked into the Dubois County Security Center in Jasper. Police say their investigation is continuing and that additional charges may be filed. Ferdinand Police were assisted by the Dubois County Sheriff’s Department. Be the first to comment on "METH AND HOTEL THEFT"